It came on the same day another dog killed six sheep, two lambs and three geese on a farm in Burnley. Farm manager Andrew Eastabrook has called for the responsible owner to ‘have courage’ and ‘hold [your] hands up’ after six of the college’s ewes were killed on a Gloucestershire field. He said the incident, which happened between 4.20pm and 5.40pm on Thursday (March 23), left him frustrated because of a lack of answers. The suspected dog attack killed four ewes instantly. Two more later died; one from the impact of a heart attack and one with injuries so severe it had to be shot. He said: “At about half four the shepherd checked in on the sheep – they were fine, in the right field, most of them lying down quite relaxed. Mr Eastabrook said the heavily pregnant ewes had been chased through three lines of electric wire and most had wounds to their undersides. “Some lambs were wandering around tangled in the wire,” he added. In a Facebook post, Mr Eastabrook challenged the dog walker responsible not to ‘walk away’. 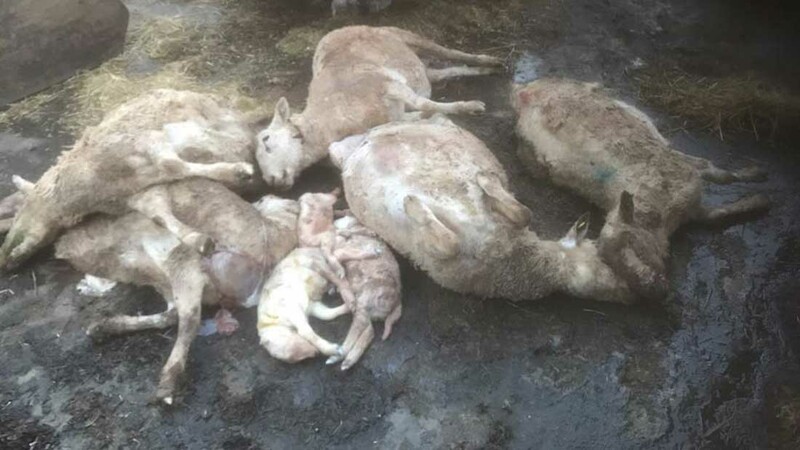 The attack happened on the same day another suspected worrying incident killed six sheep, two lambs and three geese at Lower Red Lees Farm, Burnley. Lindsey Blake, wife of farmer James Blake, said the incident was ‘disgusting’. The couple have incurred more than £1,000 costs in loss of livestock and have vet bills still to cover. PC Nigel Keates of Lancashire Police added: “It is a common problem; it is the unfortunate reality of what a pet dog can do in the hands of someone too stubborn to realise what can happen. “The animals very rarely survive these sort of attacks.